Well, to almost paraphrase Lady Macbeth in William Shakespeare’s play of her husband’s travails: “who would have thought the old man to have had so much life in him”. In my last twenty years of Seasons concerts, this may have been their best. This is partially due to the fact that they have filled their ranks with extremely good musicians. In this regard, the return a number of years ago, of keyboardist and musical director, Robby Robinson and also the return, just a few months ago, of lead and rhythm guitarist, Larry Lingle, is a prime factor. 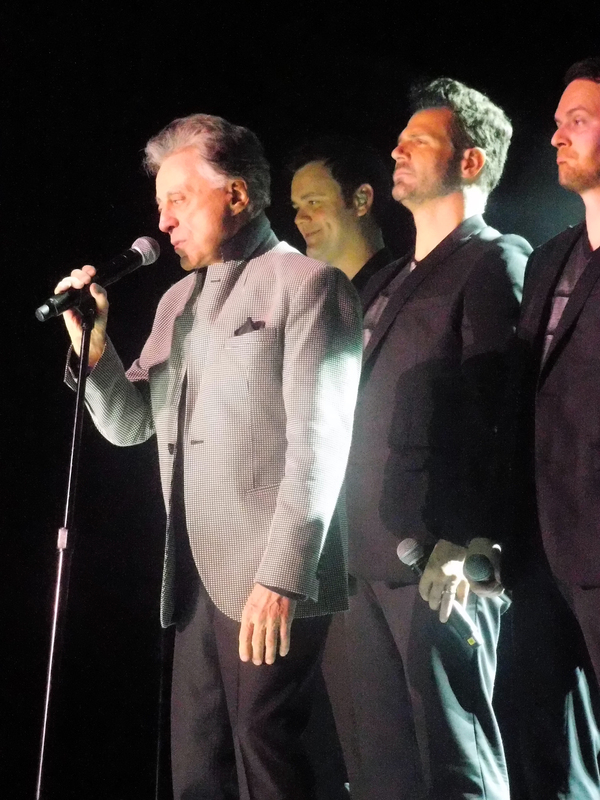 But more so is the way in which Mr Valli himself is at the top of his game vocally. Now don’t get me wrong here. 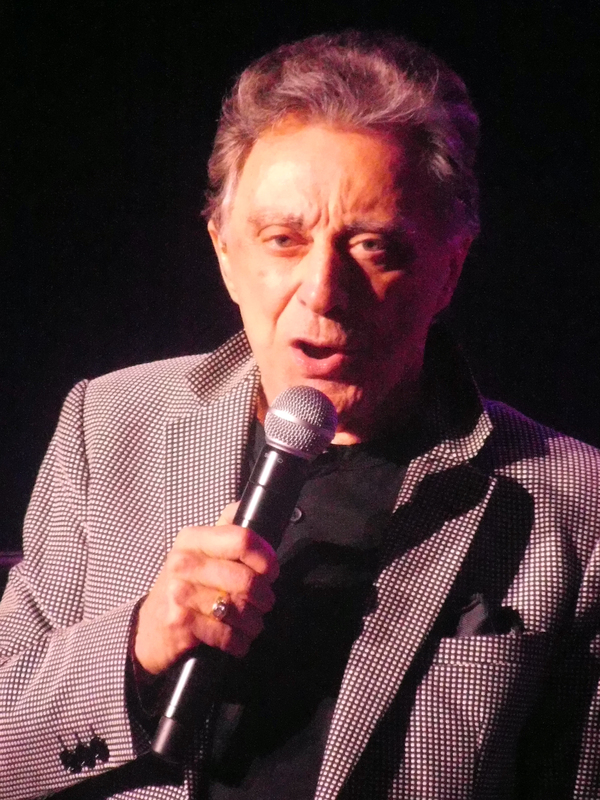 I’m not about to suggest that he sounds as good as he did when he was 40 and “My Eyes Adored You” hit the top of the U.S. charts but for someone who will not see 80 again, he is indeed in fine vocal form both in terms of his falsetto and his lower range and in stronger voice than he was in 2012. The evening didn’t begin very auspiciously. 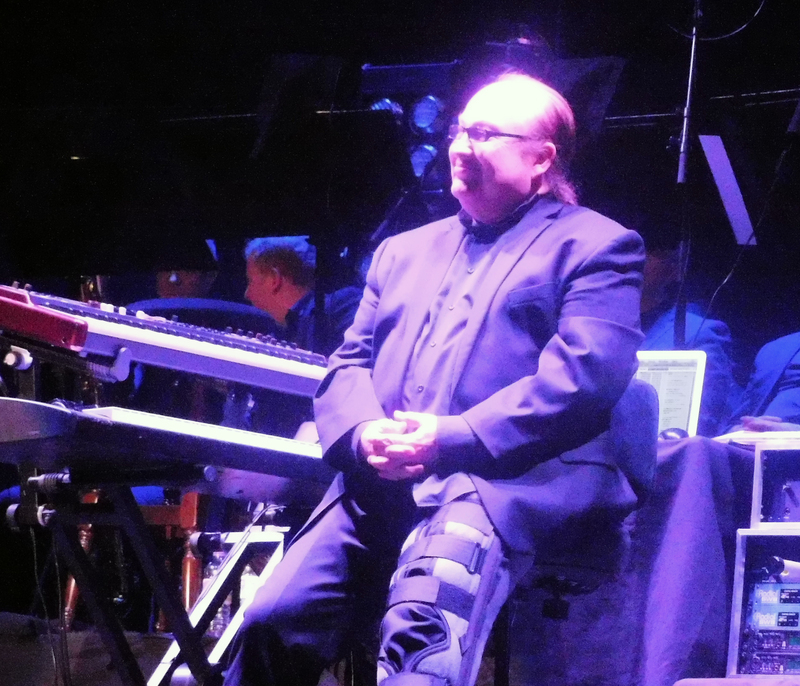 Mr Robinson limped into place at his keyboard with seemingly a full cast on his leg. He pressed a button on a hard disk unit at the side of his keyboard and the packed hall was filled with a selection of gentle orchestral renditions of timeless classics culminating in “Candy Girl” before the rest of the band began to take the stage. Frankie would later tell us that Robby’s injury nearly led to the cancellation of the tour but Robby had insisted in delaying surgery until after this run of shows in order to come and see their UK audiences. Once everyone was in place the band began to strike up the rhythm of “Grease”, another U.S. number one, this one from 1978. An excellent rendition was warmly received and the band led into “Save it for Me” which had a different conclusion from the recorded version which turn moved into a new intro to “Dawn (Go Away)”. It’s been quite a year for Frank Sinatra covers what with Bob Dylan recording a whole album of songs that are at least loosely associated with that Frank, but the Seasons had the idea a lot earlier when, in the late ’60s, they took on “I’ve Got You Under My Skin” the Cole Porter composition which Sinatra had made into such a standard (that’s to say nothing of the whole link between the Seasons’ Bob Gaudio and Mr Sinatra through the “Watertown” album – but that’s a story for another day). The rendition tonight was largely faithful to that 60s arrangement that the Seasons had come up with back then but was fleshed out by a big mid-section handled by the “Heart of England horns” who are once more joining Frankie and his band for this jaunt around the UK. Another song from the late sixties followed next but this is the one that has been more responsible than any other for the Seasons’ renaissance in the 21st century. “Beggin'” was far from the Seasons’ biggest hit when it was released in 1967 but the Bob Gaudio / Peggy Farina composition found a whole new life in 2007 when the original version was remixed by French disc jockey, Pilooski, and then re-recorded by pop/hip-hop act, Madcon. This rebirth has led to it becoming a staple of radio and dance floors for the last eight years in a way that the Seasons’ music hasn’t seen since the heyday of Northern Soul. Tonight’s performance of the song relied heavily on the bass work of Steve Wilkinson. After a quick joke about slowing things down “because I need to” Frankie performed the aforementioned big solo hit “My Eyes Adored You” and then a contemporary jazz flavoured “Swearin’ to God” and then the UK hit “Fallen Angel” (featuring a great solo from Mr Lingle) which led then into a selection from Valli’s 2007 solo album “Romancing the 60s”. The big introduction to the songs from this album that Frankie gave made sense when the album was new or when it was on sale in the foyer of the auditorium but less so now. 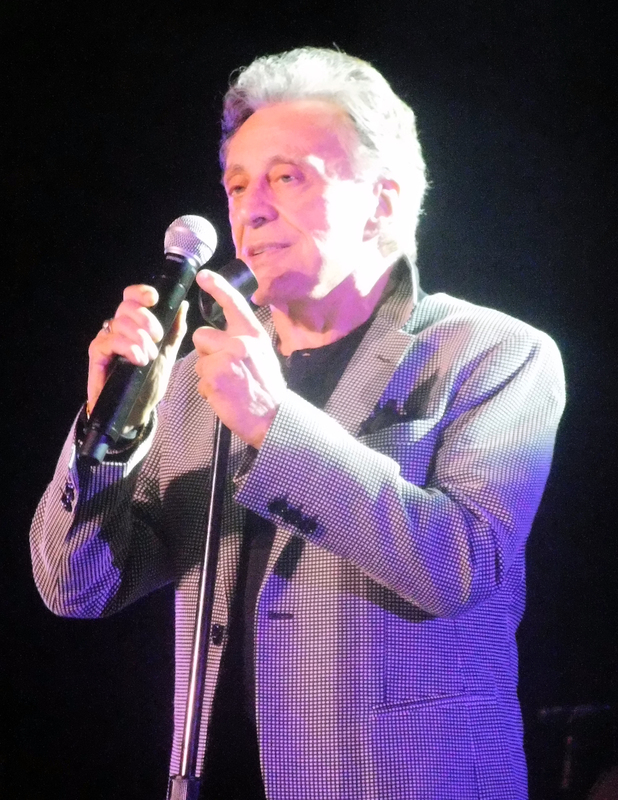 However, preambles aside, there is no question that Frankie’s live voice has warmed to these songs over recent years and the audience too have gained an enthusiasm for them. “Spanish Harlem” which was originally a hit for ex-Drifters man, Ben E. King was warmly received. That was followed by a song which originated in the French language when it was recorded by co-composer Gilbert Becaud before becoming a big English language hit for the Everly Brothers and then being covered by it seems the whole world including Bob Dylan in the early 80s and even Bruce Springsteen on one of his live tours. On this Valli’s version is achingly beautiful and fragile and “Let it be Me” is a perfect ballad for him. Next he blends the Temptations’ hit “My Girl” with a big hit from another New Jersey band, the (Young) Rascals’ “Groovin'”. This really drew in the audience with sing-along and clapping. “Spanish Harlem” had a great sax solo, “Let it be Me” was introduced by some beautiful flute work. Both sax and flute were provided by Seasons member Rick Keller. “Groovin'” featured tremendous keyboard work and a great solo by Robby Robinson who could obviously be a capable contemporary jazz pianist in his own right if this wasn’t his chosen gig. The first half of the night’s activities closed with “Stay” which the Seasons have been playing since the early 60s when it had been a hit for Maurice Williams and the Zodiacs (indeed in the UK it is perhaps better known for the renditions by the Hollies and the Four Seasons). 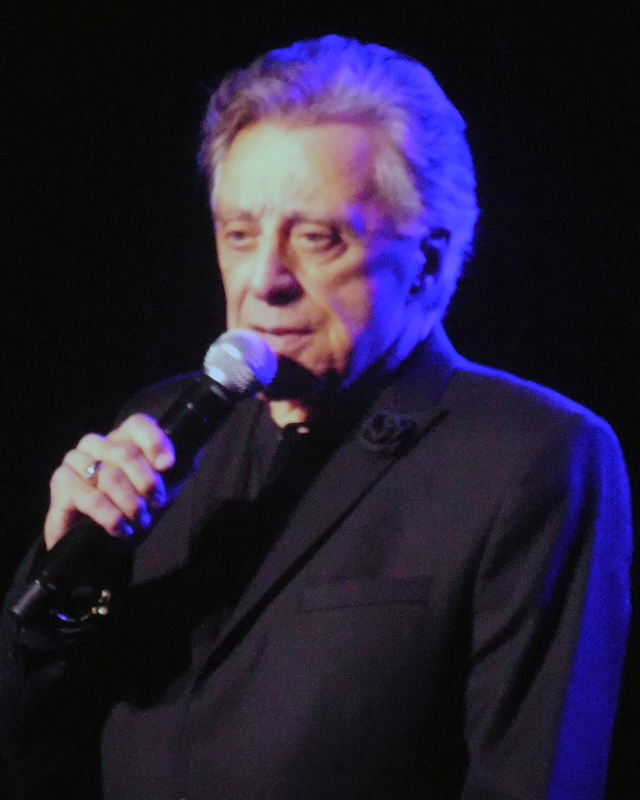 Tonight, it will be best remembered for the range of vocal that Valli and his four singers provided with Frankie’s range particularly evident. After a 30 minute intermission, the band returned with Valli now changed into a grey jacket and fresh for a energetic second half. First up was “Working My Way Back To You” which was a hit for the Seasons some 15 years before the Detroit Spinners took it to the top of the UK charts. This ran straight into “Opus 17” which featured a great break and solo from the baritone sax. 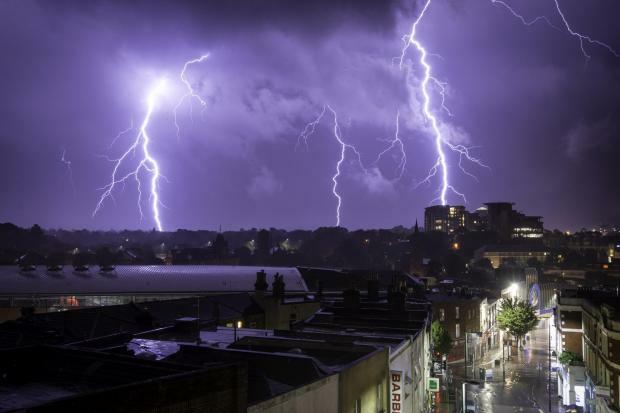 Eerily a recorded thunderclap took us into “Tell it to the Rain” which would come to have greater significance later in the evening when Bournemouth was hit by a huge storm and torrential downpour shortly after the show finished – sometimes it doesn’t do to tempt Mother Nature! This new line-up of the Seasons features two guitarists who swap between lead and rhythm and here it is Lingle’s opposite number, Yarone Levy, who brought us an imaginative and energetic solo. At times in the Sixties, it seemed that the Seasons must have had too many songs that deserved to be singles and other bands took them on and made versions that became better known than the recording from the band with which they originated. Such is the case with “Silence is Golden” which in the UK became a huge hit for The Tremeloes in a version which aped the Seasons recording, vocals and arrangement exactly. 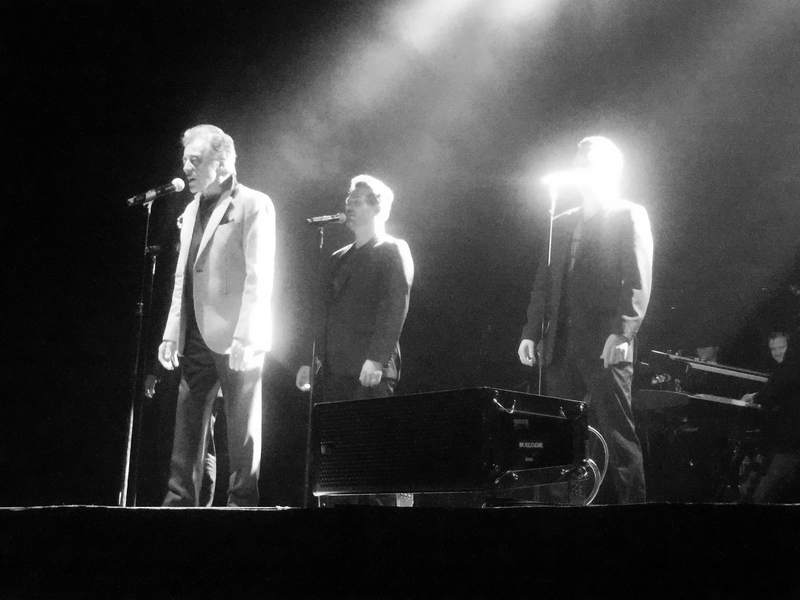 Tonight, the four back singers who help to make the show look a little more like the “Jersey Boys” concept (Brandon Brigham, Brian Brigham, Todd Fournier, Brad Sharp) join Valli at the front of the stage with their mics and show their vocal chops on backing. They return to the rear of the stage for the next track a song which like “Fallen Angel” is much better known in the UK than in the Seasons’ homeland. “The Night” is the song which was recorded for the “Chameleon” album in the very early seventies during Valli and Gaudio’s stint with Motown but sank without a trace. It became an underground success in the Northern Soul world and became a surprise UK hit during the 1975 resurgence that saw “Who Loves You” and other songs hit the chart with the Four Seasons signed to Warners and Valli signed to Private Stock for his solo releases. In 2011, it was re-recorded for the forthcoming UK tours and added to a compilation the following year. The new arrangement wasn’t entirely successful in either the studio version or in its initial live outings, missing Joe Long’s bass-line badly, but tonight there is a new electricity about this arrangement which makes it, for my money, one of the the highlights of the night and shows just how this new version of the Four Seasons driven by Robinson and Lingle have moved to new heights. The entourage was now on a roll and Frankie comes over all passionate in a preach about the troubles of the world and the need for more brotherhood and less dictators before he moved into an album track from the “Who Loves You” album which he mistakenly ascribes to the 1960s. The lyrics of “Harmony, Perfect Harmony” (majorettes and barber-shop quartets indeed) and his call for us all to live as the children of one creator only match up slightly awkwardly but no-one seems to notice – it is the passion and compassion that we’re hearing. 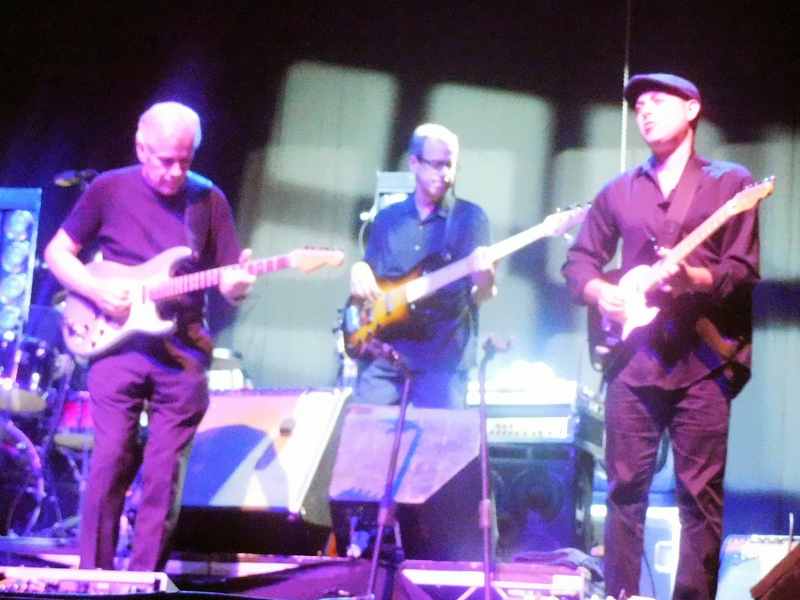 That is as well as an extraordinary guitar solo from Larry Lingle and some nice colours from the horn section. 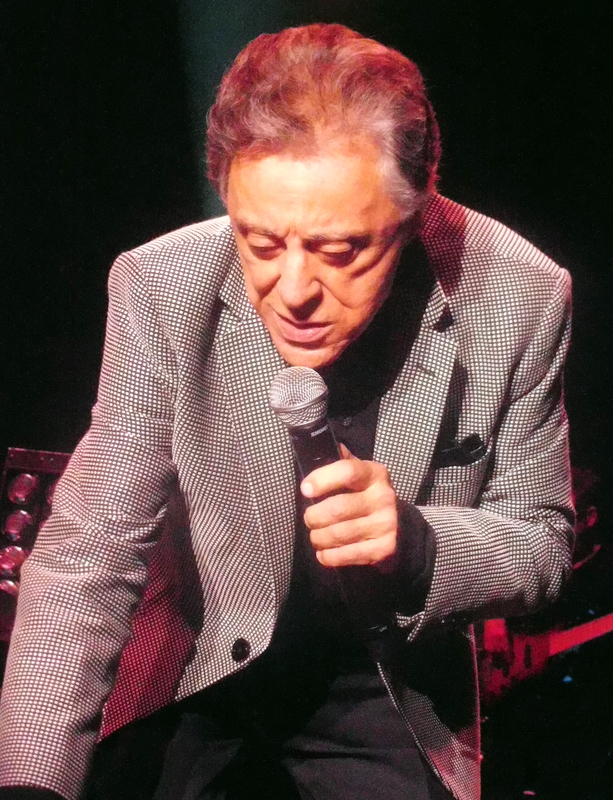 That mid-70s era is explored more fully with the coupling of “Who Loves You” and “December ’63 (Oh, What A Night)”, the latter of which sees the four much younger singers share and divide up the vocal sections which originally were handled by Gerry Polci with Mr Valli settling for the choruses and the backing voice. There’s still a long way to go and the last lap of the journey begins with a great version of a song that was made a hit by Andy Williams in the UK but is far better heard as the Gaudio / Valli masterpiece it was always meant to be: “Can’t Take My Eyes Off You”. Then it’s back to 1962 for the triumvirate of Sherry, Walk Like A Man and Big Girls Don’t Cry while girls from 8 to 80 storm the front of the stage to shake hands with the man whose songs the younger ones must only have been introduced to in that West End musical. The medley is rounded out by a song that some UK girls will always associate more with those wretched Bay City Rollers — but tonight is Valli’s night and it is not hard to reclaim it. 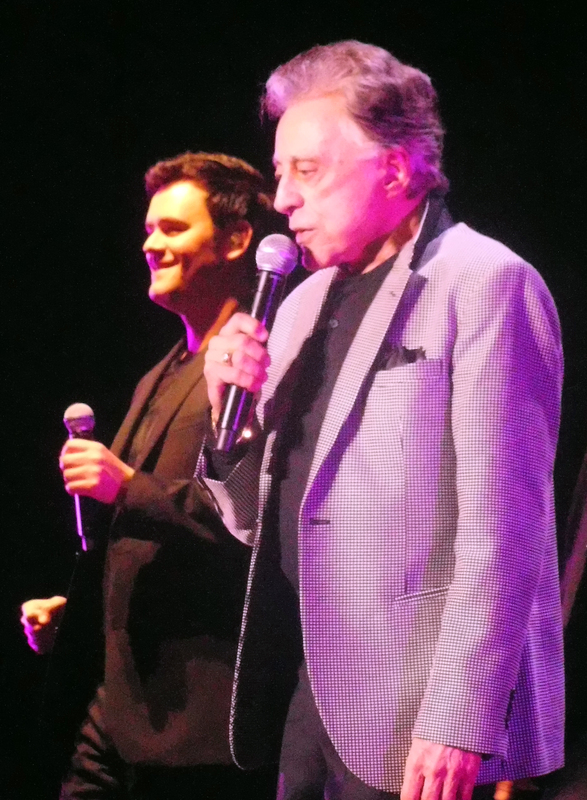 The audience was left astounded by his ability to hit those falsetto high notes – a task that some times in recent years, it seemed that too often he needed to leave to the audience to help him sing. I’m watching closely and I can’t see any evidence of DAT or samples helping him out and I know how to look for these things being punched in. Encores? Rag Doll and Let’s Hang On but by now the band had stormed any remaining resistance and the most reluctant audience member needs no more convincing. The Four Seasons came and saw and conquered. The band is tight and alternates between jazz and rock flavours as the moment demands, Valli has sung up a storm, the backing vocalists are visually a little too twee for my taste but even I can’t harp against their vocal ability. They were good and they didn’t dominate like perhaps they had done last time I’d seen a show by Valli’s band. In another dream, Bob Gaudio would have led the band out for a second encore to perform something from “Genuine Imitation Life Gazette” and something from “Streetfighter”, just to cover all the colours and corners of the band’s career but that is a far flung dream – it is a long time since Gaudio retired from live performance but with a band like this perhaps there is yet time for Bob to give Frank another bunch of songs and smuggle this band – just the way they were tonight – back into a studio somewhere and make just one more record for the diehard fans. This entry was posted in live show, music, Review, Theatre and tagged 4 Seasons, albums, ben e. king, bic, big girls don't cry, bob dylan, bob gaudio, bournemouth, bournemouth international centre, brad sharp, brandon brigham, brian brigham, bruce springsteen, bye bye baby, can't take my eyes off you, candy girl, chameleon, darren hirst, darrenhirst.com, dawn, dawn (go away), december '63, december '63 (oh what a night), detroit spinners, drifters, everly brothers, Fallen Angel, Four Seasons, frank sinatra, frankie valli, Frankie Valli and the Four Seasons, genuine imitation life gazette, gilbert becaud, Grease, groovin', hollies, I've got you under my skin, jersey boys, joe long, journalism, larry lingle, let it be me, let's hang on, live show, madcon, maurice williams and the zodiacs, my eyes adored you, my girl, new york yankees, peggy farina, pilooski, pop, private stock, rag doll, rascals, review, reviews, rick keller, robby robinson, rock, romancing the 60s, Save it for me, sherry, spanish harlem, stay, steve wilkinson, streetfighter, swearin' to god, tell it to the rain, temptations, the detroit spinners, the drifters, the hollies, the night, the rascals, the spinners, the temptations, the tremeloes, the young rascals, theatre, todd fournier, tremeloes, walk like a man, who loves you, working my way back to you, yarone levy, young rascals by twilightdawning. Bookmark the permalink.